It is an excellent machine for all age groups. Great for my girls and Nephews that are just learning and for the experienced guys that would like or need a tune up before a hunt. I ordered the ata at50 as an upgrade after I received my patriot damaged in transit. I called Mike and he was great to work with. Took care of all problems fast and easy. I haven’t had a broke clay yet after a few boxes and would highly recommend any Atlas products. Thanks again. Bought the ATA AT-50 and built my own aluminum cart.So far we have about 4 hundred targets through the machine with no problems. Great machine and customer service. AT-50 was a big hit. Assembly was no problem and I also bought the oscillating base and the 2 wheeled cart. We broke it in by shooting around 900 clays the first day without a hitch. This is a quality product and would reccomend it highly. 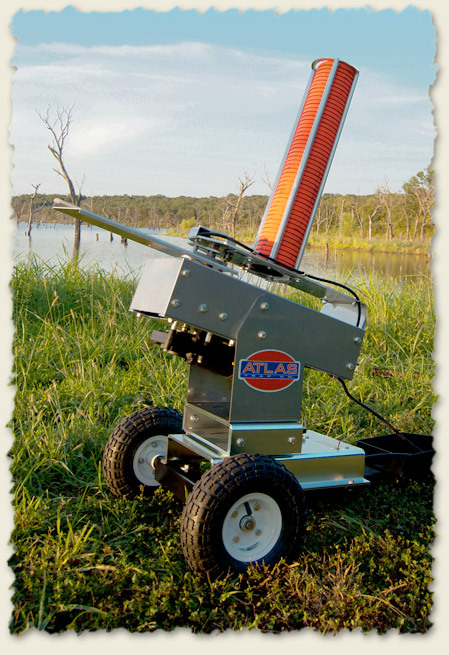 My son and I have been using the ATA AT-50 for 6 weeks now and it has never failed to perform flawlessly. The build quality is excellent, especially as compared to my previous thrower which consistently broke clays and resisted reliable adjustment. I forget the brand name, but it was something like "might fling" - which was a pretty good description of its performance. Count me as a new Atlas fan. Purchased ATA AT 50 to augment our AT 250 so we can shoot true pairs. Powerful and fast. The .6 cycle time makes for shooting speed pairs fun. This machine is well built and the poly throwing strip is a nice improvement over the older AT 250 mechanism. Folks at Atlas were helpful every step of the way. Nice people to work with. So much fun, would seem to be reliable. When called for some advice, Atlas rep was helpful and accurate. Great unit and very solidly built, but still manageable as a portable thrower. I've have very good luck so far with minimal clay breakage. It's easy to imagine it will pay for itself very quickly compared to paying fees at the range. Great product support too. Overall very happy and would recommend. Myself and 7 other family members bought the ATA AT-50 a month ago and have already used it 3 times. 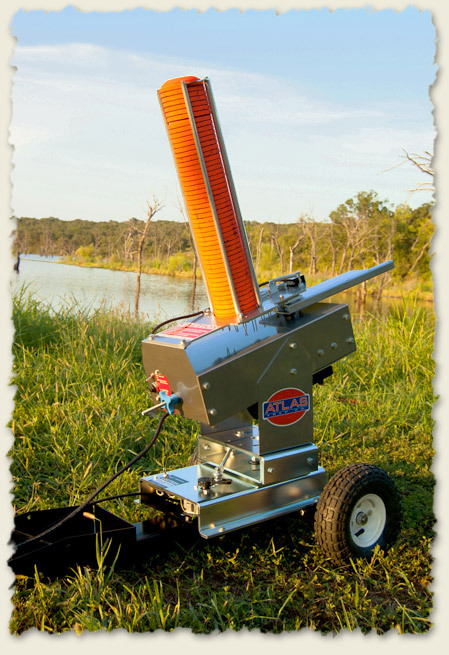 We have always used a spring operated thrower and there is no comparison between the two, the AT-50 is a power house. It seamed expensive, but now that we've started shooting its nothing compared to the shot shells and clays you will go threw. So far its been a great purchase and I would highly recommend it.